Last view: 271 days It's cool, sorry if I seemed aggressive as well. I do agree with you guys that it would be neat to have some better ASM guides, though. As it is now, I'm still not really sure how to use the Code/ASM Logger, and whenever you ask how to figure things out the general response is "use the Code/ASM Logger". I think there need to be more transitional guides for that stage between "i can read what the code is doing to the registers" and "i can actually understand what the disassembled code is really doing". Last view: 9 days Don't worry people I'm not here to help! I found tutorial online that helps you build on your ASM knowledge. When you get to the end of the first document, just replace the "1" with a 2 and your off to the second document! To get to document 3, just replace 2 with 3. To get to document 4, switch 3 with 4- I THINK YOU GET THE POINT! In the first document, there's two link to dahrkdaiz's ASM tutorial. Could this be what kuja killer was talking about? We'll never know because both links don't work for me. After reading the first couple documents, I managed to be able to make this custom ASM code! Once you guys read through the documents, or already understand some ASM, then you know what's going on here! Wow - had I just known about this one before starting to learn, it would have made things so much easier. It's written in a way that's much more understandable for people who have zero 6502 knowledge initially (like I had), compared to most of the tutorials I managed to find otherwise. To be honest, I never got what the PHA and PLA commands did, but by reading this I instantly got it (it's actually really simple, haha). Last view: 1652 days This is getting into the ASM tutorial, but can I use Microsoft Visual Studio instead of what's in < a href="http://home.pacbell.net/michal_k/6502.html">pacbell.net? I have an assembler somewhere. Tch, never mind. The address doesn't exist anymore. Last view: 3 hours oh my god, that's the IRC log, that's the one 100%!!! Last view: 9 days Thanks, now I just need to find the parts that could help me. Last view: 9 days Ok... I'm going to need some help with this small ASM "hack"
With the IRC log kuja killer linked, they talk about changing the ASM so that when Mario does in SMB1, he gains a life, instead of losing one. 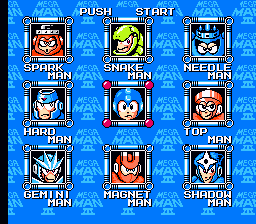 I thought this would be a nice exercise to do with Megaman 5. I used the Cheat Search with FCEUX, and found that the live address is $00BF. BOOM! I'm instantly confused. Reason being, it's not as straight forward as I thought. I know that ORA means "OR" in Memory. And I know that value $00 will be added with whatever Registry X is. "($00,X)"
But what threw me off, is that $00002 = #$62 is constantly switching around. I sorta confused, so if anybody can help, please do. Last view: 3 hours ok no you got the right idea at first. you cant change code from the RAM physically, but you can still mess around with the values in real time. i open the debugger, i click the Add button, type "BF" and check the box for "write"
so i set a write breakpoint on the BF RAM. Last view: 9 days I apologize if I'm getting ahead of myself, but I decided to give a crack at custom ASM coding for Megaman 5. What I wanted to create was ASM code that did the reverse of Insectduel's Full lives become full energy code did. A.K.A, if you collected a "Big Energy" power up with full health, it would give you an extra life. INC $B0,X @ $00B0 = #$94 ; #$94 being my life at the time. So, I busted open my 6502 simulator and started making some code. This wasn't going to be a perfect ASM hack, so I wouldn't of minded if something got messed up, but yet the ASM still worked. .ORG 0 ; There for program sake. Starts from $0000. LDA #$9C ; This is the value of Megaman health bar at its max value. STA $01 ; Stores the value #$9C in address $0001. This is just for the prgram sake, I'll change it if I put it in the ROM. LDA #$1F ; This is just to make sure that this next command works. LDA $01 ; Loads #$9C from address $0001. CMP $9C ; This is supposed to compare STA $01, to make sure of its value. BEQ $000C ; If the command worked like I thought it did, then if the value of $0001 was #$9C, then it skips this. INC $00BF ; If the value was #$9C, then it adds one to the address #$00BF, witch adds one life to Megaman. INC $B0,X ; This is for if $01 wasn't #$9C, then it'll give you your energy as normal. If anybody knows a "fix", then I would be very grateful. Last view: 271 days Is CMP $9C supposed to be CMP #$9C? Last view: 74 days Does anybody know what the address is for the palette for bubble mans background? Last view: 9 days Hmm... I never knew this, but apparently the underwater tiles in BubbleMan's Stage actually use multiple pallets. That's all I really found so far. I'll edit this post if I find more. Last view: 5 hours Does anybody know how to assign palettes to Robot Masters on Megaman III Stage Select screen? I want to change Megaman's palette, but as I modify the hexadecimals at $3C144 the whole screen gets affected and the blue colored RMs were also affected. Last view: 9 days Megaman 3's stage select still uses the normal 4 pallets like any other stage. That's why there's usually 1 or 2 unique boss pallet on the stage select screen, and the rest uses the same color pallet. What you'll have to do, is dedicate one pallet for Megaman, and use the other three for the robot masters. You'll have to cram, but with careful planning, you could make it work! You could simply leave the stage select screen the same, and simply edit the pallet in game. Ok... I'm going to need some help with this small ASM "hack"
I love the lives ASM hack. The lives ASM hack is the easiest ASM hack, and perhaps the best ASM hack for beginners. And there are so many ways you can do it too. You can simply change the STA to a LDA, so that the lives never gets stored if the game SBC's the lives and stores it. Or you can simpy change the SBC to an ADC. If the game decreases the lives with DEC, you can simply change it to an INC. Or, you can simply NOP out the code that decrements the lives altogether so that it is never executed! There are so many ways to do it, and there is no wrong way. However, if you don't want lives in your game at all, I'd probably just NOP out the code, that way you have more free space in your game if you ever need it. Megaman 3's stage select still uses the normal 4 pallets like any other stage. That's why there's usually 1 or 2 unique boss pallet on the stage select screen, and the rest uses the same color pallet. 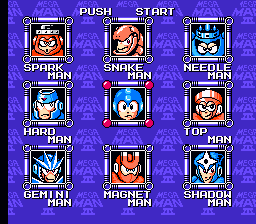 Is it possible to assign Megaman's color with the red-colored Robot Masters? Do you know how can I make that happen? Last view: 271 days Zynk, Mega Man's tiles are their own TSA block; you can edit their palette of choice and make it different from the background easily by using scene screen mode in Mega FLEX. 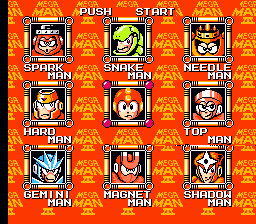 The colors are weird here because this is Mega Man Memento's stage select, by the way. Last view: 9 days Here's a very "simple" question I have that deals with the "Boss Intro" screen. You know... when you select a boss... and they kinda do there little "intro dance." I want to find the ASM that deals with this, but how do I exactly figure that out? I used the Trace Logger, and just logged the "Boss Intro" screen, but that didn't help. I'm trying to find this with Megaman 3, but I'm not really looking to hack any game in particular. Just wanting to know how you guys figure things out that you can't exactly look up in the Cheat Search tool. Last view: 17 days The dance formation you are talking about, is the game loading 3 sprite animations of the boss in action. It'll be loged as data (blue). Idk where any of those are located, I haven't touched a MM game in years, but that's how it's done. MySQL - queries: 121, rows: 162/0, time: 0.099 seconds.